I always had this idea that when I was grownup and rich, I’d have this huge mansion with different special rooms: a bean bag room for watching movies and hacking, a huge high-ceiling library with a balcony that you can only reach through a hidden door, a retro gaming room filled with old consoles and arcade machines. 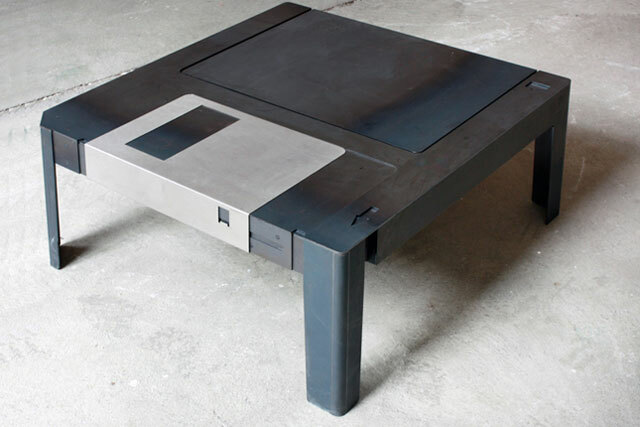 I think this Floppytable would fit perfectly in that latter one! I love all the little details of the table; it does look exactly like a floppy. It was designed by Neulent van Exel and if you like you can order one from his website.